×　This noodle café is a place where people eat while standing. 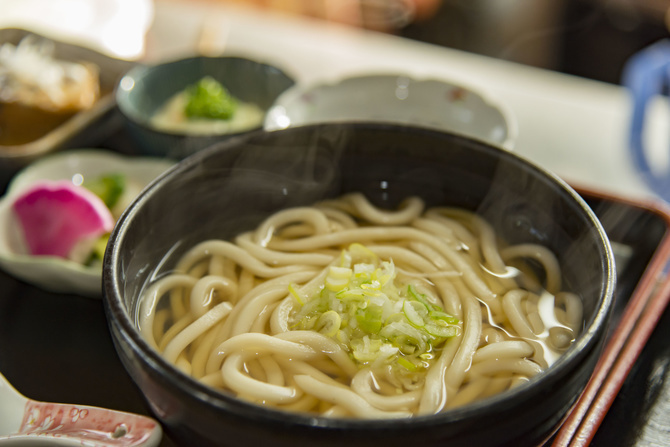 →This noodle café is a place where people eat while standing. ○ This noodle café has no chairs. We stand and eat. At a noodle stand, you should first buy a meal ticket on the vending machine, and give it to the staff. You can enjoy your noodles in three minutes!